I hope one thing noticeably missing from my 5th grade science activities are the words “easy” and ”simple” (I’m not a fan of exclamation points either!!!!!). Nowadays those two words tend to be overused, and in most cases they exaggerate a claim. If you’ve ever had trouble assembling something that the directions said to just ”simply” do, then you understand where I’m coming from. 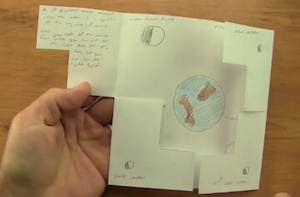 The other reason I try to avoid the words “easy” and “simple” is that there’s nothing particularly easy and simple about well-done 5th grade science activities. 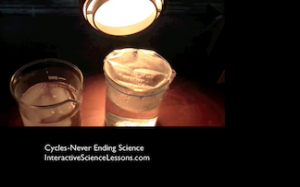 Easy and simple 5th grade science activities amount to giving students a worksheet or pushing play on the video player. Guiding a class of 30 students through a 45 minute journey through a topic in which everyone in the room learns something meaningful is actually pretty hard to do. 5th grade science activities- All Fun? With 5th grade science activities, being interactive is important, but I want to do more than just entertain your students. 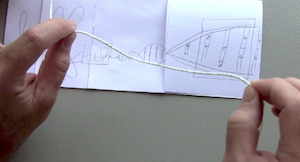 The neat thing is that after experiencing a good demonstration, students actually crave a good explanation. That’s why my teacher videos strongly emphasize you being mentally prepared. You should never walk into your classroom not having a clue what you’re doing that day. If that’s your habit, you might occasionally have a good day of learning, but you and your students are missing out on many more. Step 1, then, is going in with knowing what you’re doing. And step 2 then would be deciding what kinds of things you’ll say during the 5th grade science activities. If you seldom give thought to your words before a lesson, try it and see what happens during your next 5th grade science activities. Everyone wants to be part of a great lesson, but it’s usually the unseen work and mental preparation that make it successful. As you mentally prepare for each of your 5th grade science activities, be intentional about everything. Nothing should happen by accident or by chance (at least not many things; science class should occasionally reflect real science and encounter surprises). That’s the beauty of the Yellow Sheet– almost nothing can sneak up on you. 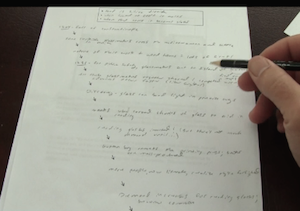 Using this method of planning for your 5th grade science activities, you’ll overlook no detail. It may sound like a lot of work and different from anything else you’ve ever done, but if you often feel frustrated with what goes on in your room, try it for a week and see how it goes. You’ll find that when you’re intentional and not accidental, more will get done and the tone will be more positive. Do you know how lucky you are to be a science teacher? Imagine you woke up tomorrow morning and you suddenly had become an English teacher and had to come up with something for your students to do. Your mind is probably not exploding with exciting things to do. Ok, calm down, youre a science teacher again. Do you remember what you dreamed of doing when you first decided to become a science teacher? Was it hand out worksheets? Give long lectures? That doesn’t even deserve an answer. You can use human curiosity to our advantage in your 5th grade science activities, and it can take you anywhere you want to go. Here’s a fun demonstration idea: gift-wrap a box as beautifully as you can with ribbons and bows. Then start class one day by putting the package in front of your classroom and try to teach a normal lesson while attempting to ignore the gift box. Your students will go nuts wondering who it’s for and what’s in it. Mean? Yes. Fun? Absolutely! Keep this gift box handy for when your 5th grade science activities take a turn and you get questions like ”why are we spending so much money on space exploration”? Answer- basic human curiosity. It drives everything we do, and it gets to the root of what science really is- looking around, noticing, and wondering why things are. It’s my firm belief that almost everything in science has a simple explanation, and the best ones include a demonstration with a reference to something students are already familiar with. 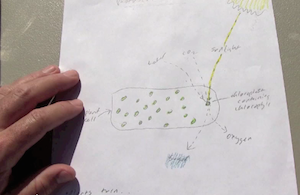 It’s very important that those illustrations become a central part of each 5th grade science activities. Have you ever listened to a speaker who confused you? In your mind you may have thought, “Why don’t you showme what you’re talking about. Give me an illustration, please!” If they finally did give an illustration, then you remember your anxiety letting down. 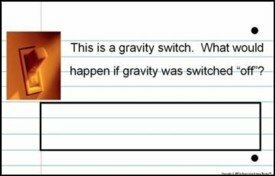 Remember to use word pictures often during your 5th grade science activities, because that’s how our minds learn best, and also because there’s usually a student in your classroom looking at you starving for an illustration but saying nothing. They’re rare hard to find, but they make all the difference in 5th grade science activities. I’m referring to great questions. One great question is powerful enough to carry an entire activity- it gives you something to build around and up to. Or you can leave it with your students to chew on for a homework assignment that wraps on into tomorrow. 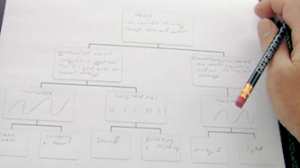 My 5th grade science activities include some great questions, but you can come up with more of your own by going through the activity in your mind beforehand. 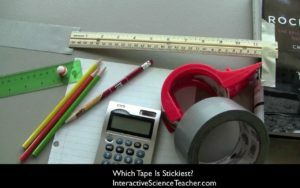 What’s the hardest part of any 5th grade science activities? For most of us it’s capturing our students attention. Since worksheets usually aren’t that breathtaking, I’ve found that a different approach works better. 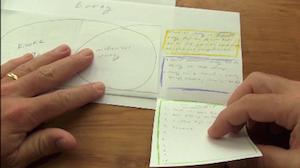 My 5th grade science activities were designed to be interactive with your students- to provide a reason for them to listen as well as give you a centerpiece you can build on. An involved student will pay attention and take ownership in the activity, which fuels their interest even more. And that’s what causes them to “buy into it”.